“The effectiveness of such a ‘block’ will depend on the determination of the ISP subscriber and the content/website provider to maintain access to each other and to use circumvention techniques to bypass blocking techniques,” they write. IFPI, the international recording industry lobby, has gone on the offensive to save ACTA, the Anti-Counterfeiting Trade Agreement, an unprecedented international copyright agreement negotiated in secret (so secret that even Congress and the European Parliament weren't allowed to see it). In recent weeks, popular protests against ACTA have grown, and many nations are pulling back from ACTA. IFPI doesn't like this. In fact, it says that popular demonstrations calling for substantive treaty negotiations to take place in the open "silence the democratic process." In this statement, IFPI is using the term "democratic process" in a highly technical, specialized manner, citing a little-understood definition: "a process undertaken by corporate lobbyists and unelected bureaucrats without public oversight or transparency." Another specialized vocab use that's interesting is the word "silencing," which, again, is used in the rare technical sense of "marching in the streets in thousands-strong throngs asking lawmakers to oversee and publicly debate international agreements." Over the past two weeks, we have seen coordinated attacks on democratic institutions such as the European Parliament and national governments over ACTA. The signatories to this letter and their members stand against such attempts to silence the democratic process. Instead, we call for a calm and reasoned assessment of the facts rather than the misinformation circulating. Canada's majority Tory government is poised to reintroduce its disastrous DRM-friendly copyright law, formerly Bill C-32, without any further public consultation. This law repeats the major error made in the US 1998 DMCA, namely granting special status to "software locks" (AKA DRM), making it illegal to remove a lock, even if you're doing so for a lawful purpose. Minister James Moore (who seems to have retreated from his plan to "fight [opponents of the bill] on Twitter" after one too many Canadians told him what they thought of his legislation) has decided to throw in his lot with the anti-property crowd who say that you should not have the right to use your devices in lawful ways if a copyright holder or DRM vendor objects. As Wikileaks has demonstrated that this law has come about thanks to direct pressure from American corporations and government, and I suppose that means that anyone in Moore's seat will now have to blindly follow the American government off the cliff it fell over 13 years ago. Mr. Moore told The Canadian Press in an interview that the Conservative government will re-introduce its copyright bill this fall, in exactly the same form as legislation that died with the last Parliament. The measures will go back to a legislative committee for study, and Mr. Moore said groups who testified before MPs won't be asked back to comment again. “We've taken a couple runs at it before in minority Parliaments, but we think that we have a very good formula with the old Bill C-32 and when we come forward with our legislative agenda this fall we want to pick up where we left off, which is to continue the study of the legislation,” Mr.
Douglas C Merrill, who left his job as Google's CIO to be EMI's Chief Operating Officer of New Music and President of Digital Business has given a speech in which he claims that EMI's own research confirmed that P2P music downloaders were the label's best customers. Merrill, who was one of many tech executives to be recruited by EMI in recent years (one friend of mine left after a few months, visibly shaken, claiming that it was impossible to get the business to see reason), was keynoting the CA Expo in Sydney when he said that LimeWire users were the biggest iTunes customers, and that the record industry's strategy of suing downloaders "is like trying to sell soap by throwing dirt on your customers." Maria Martin-Prat, who took a leave from her job at the European Commission to work as Deputy General Counsel and Director of Legal Policy and Regulatory Affairs for the International Federation of the Phonographic Industry (IFPI -- thee international version of the RIAA, CRIA and BPI, though they're all basically the same companies), has returned to the EC to run its copyright unit. While Martin-Prat was enjoying her holiday as a lobbyist for the industry she now regulates, she took a number of extremist copyright positions, including lobbying against the private copying exemption (part of European Fair Dealing), and arguing that it should be illegal to break the DRM on the media you buy, even if you don't violate copyright in doing so. Christian Engström, Pirate MEP, writes, "Welcome to the European Union, where the big business lobby organizations are calling most of the shots at the Commission, and where citizens are just seen as a nuisance to be ignored. I guess the only real news is that they don't even bother to try to hide it any more." Two MEPs are openly questioning Martin-Prat's appointment. Liberal Dutch MEP Marietje Schaake and Swedish Pirate Party MEP Christian Engström have written to the European Commission, asking, "Does the Commission not see any problems in recruiting top civil servants from special interest organisations, especially when being put in charge of dossiers directly related to their former employers? If not, why not? "Does the Commission feel that such an appointment would help to build confidence with the European Parliament and the general public that the Commission can be trusted to handle copyright-related issues in a fair and balanced manner?" Here's a fascinating look at how two opposing groups with an interest in inflating piracy numbers drove each other crazy and screwed up a nice-seeming band in the process. Cameron Tilbury, the manager of a Canadian band called One Soul Thrust, did a Google search for BitTorrent downloads of the band's debut album. He got a link to a site that claimed that 100,000 people were actively downloading the album. What he didn't know is that the site, LimeTorrents, will show you a fake results page that has 100,000 people downloading any file you enter into its search box -- even imaginary files like "fake123.torrent." So Tilbury kind of freaked out. After all, the band only had 176 Twitter followers and one YouTube video with 79 views -- if they'd gone piracy-platinum without earning a penny, well, that was pretty weird and disturbing (and heartening, as the lead singer noted that the band was "flattered that people could love our music that much"). The story got picked up by the Canadian Recording Industry Association's astroturf site, "Balanced Copyright for Canada" (despite its name, CRIA represents the interests of the four major international labels, who are the only voting members -- most Canadian labels staged a walkout some years ago from the organisation). Creative Destruction and Copyright Protection, a paper by the London School of Economics' Bart Cammaerts and Bingchun Meng, is an eye-opening look at the economics of file-sharing and music. The authors argue that an overall decline in consumer entertainment spending is to blame for the music industry's downturn, supporting their assertion with (for example), research showing that entertainment spending declined by 40 percent in households that didn't own computers (who probably weren't downloading!) over the period of overall decline for the industry. Their conclusion is that copyright enforcement won't bring back consumer spending on music -- but it will strangle new business models built on file-sharing, robbing the next generation of musicians without paying the current generation. The authors propose several business models, including allowing ISPs to buy unlimited, technology-neutral licenses on behalf of their users. The authors of the study acknowledge that these alternative models are not going to impress SONY and EMI. "Compared to the value of the mainstream music market, dominated by the 'big four', these are relatively marginal activities," they observe. But they may become less marginal very soon. With world mobile data traffic set to explode by a factor of 26 by 2015, and with most people in the Middle East, Sub-Saharan Africa, and South/Southeast Asia expected to link to the mobile 'Net before they get electricity, file sharing could be poised for a second great leap forward, whether Big Content approves of it or not. These millions of new Netizens are not going to have the money to buy digital music files. Canadian Liberal MP Dan McTeague, who was recently linked to the Canadian Recording Industry Association, has been the most outspoken MP in favor of tough penalties for copyright infringement. Yet it now appears that McTeague may have himself infringed dozens of copyrights on his own website. Since the introduction of Bill C-32, McTeague has posted dozens of full-text articles from mainstream media organizations on his website, at times without attribution. In addition to the articles, McTeague has also reposted many photographs associated with the articles. The more likely scenario is that this is a case of repeated copyright infringement under which there would be the possibility of hundreds of thousands of dollars in potential statutory damages. Targeted Canadian mainstream media organizations include the Globe and Mail, Postmedia, Toronto Star, Ottawa Citizen, Canadian Press, CTV, QMI (Sun News), Hill Times, and many local news organizations. As the debate over Canada's copyright reform legislation, Bill C-32,continues to rage before a legislative committee, one of the most frequently heard claims is that tough reforms are needed to counter Canada's reputation as a "piracy haven". The presence of several well-known BitTorrent sites, most notably B.C.-based isoHunt, is cited as evidence for Canada's supposedly lax laws that the industry says leaves it powerless. When the bill was first introduced last June, the Canadian Recording Industry Association stated that "stronger rules are also needed to rein in Canadian-based peer-to-peer websites, which, according to IFPI,have become 'a major source of the world's piracy problem'." Politicians have taken note of the concerns. Industry Minister Tony Clement said the new bill will target "wealth destroyers" and Liberal MP Dan McTeague has lamented that "the very existence of an isoHunt in Canada is problematic and is very much the result of what appears to be a legislative holiday for companies and other BitTorrent sites." While the notion of a "legislative holiday" appears to be the impetus for some of the provisions on Bill C-32, what is left unsaid - and thus far unreported - is that 26 of the world's largest recording companies launched a multi-million dollar lawsuit against isoHunt using existing Canadian copyright law just three weeks before the introduction of the bill. The Obama administration has just appointed a notorious entertainment industry lawyer to serve as the Solicitor General of the USA. Donald Verrilli Jr. is the industry lawyer who masterminded the case against Grokster, successfully arguing that online service providers should be held liable for the actions of their users and that online libraries containing millions of noninfringing works should be shut down if they also contain infringing works. 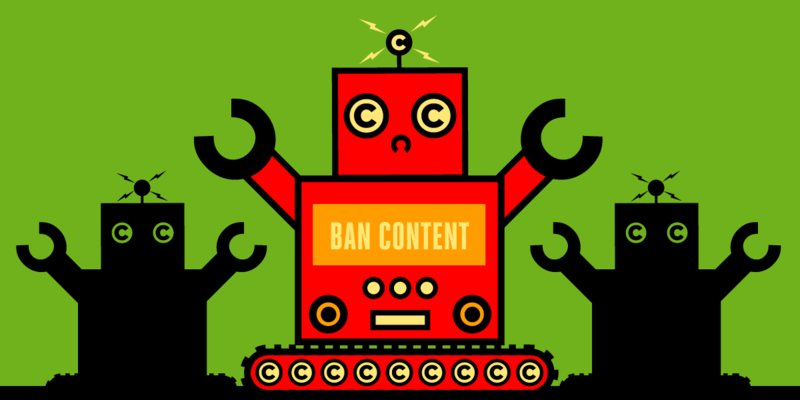 Subsequently, he led Viacom vs. YouTube suit, in which he sought to extend the Grokster principle, holding YouTube liable for not reviewing the 29 hours' worth of video they receive every minute to ensure they don't infringe copyright. Viacom also sought to ban YouTube's privacy features (which allow you to specify that certain videos can only be seen by friends and family) because the ability to restrict viewership of a video made it harder for them to detect infringement. If confirmed by the Senate, Verilli, now the White House deputy counsel, would assume the powerful position left vacant by Elena Kagan, who was elevated to the Supreme Court. Obama said he was "confident" that Verrilli, one of five former RIAA attorneys appointed to the administration, would "serve ably." The solicitor general is charged with defending the government before the Supreme Court, and files friend-of-the court briefs in cases in which the government believes there is a significant legal issue. The office also determines which cases it would bring to the Supreme Court for review. Multinational record industry shill calls Canada's new copyright bill "a license to steal"
"Once this bill is passed, you could go online and steal every movie that's ever made, every book, and every song, put them on your hard drive, admit liability, and write a $5,000 check. That would be the full extent of it -- and it would be the first rights holder who would get all the money. Nobody else would get a cent. It's close to saying that for people who want to steal stuff, there's a compulsory license of $5,000. Henderson's organization represents the US labels that have sued over 30,000 Americans for file-sharing; none of the "damages" they've recovered from Internet users have been passed on to musicians.